Direk Erik Matti says Crazy Rich Asians suffers from "bad direction"
Filmmaker Erik Matti (right) used the hashtag #kumitakayamagandanayan to describe the Hollywood movie Crazy Rich Asians. 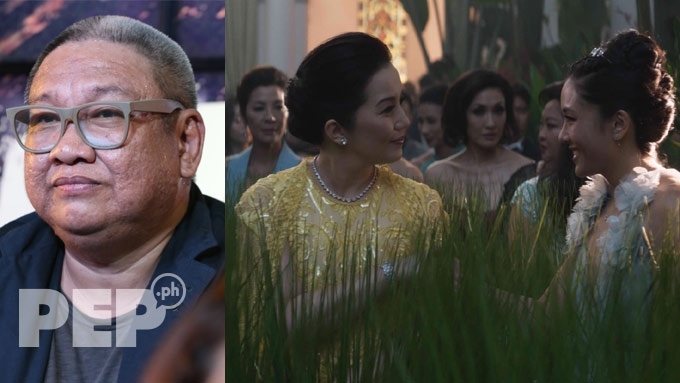 Erik Matti criticized the movie Crazy Rich Asians, three months after it was shown in cinemas. The Filipino filmmaker also believes that the Hollywood movie directed by Jon Chu suffers from "bad direction." Direk Erik also pointed out that the film is not comparable to Pretty Woman, the 1990 movie starring Julia Roberts and Richard Gere. 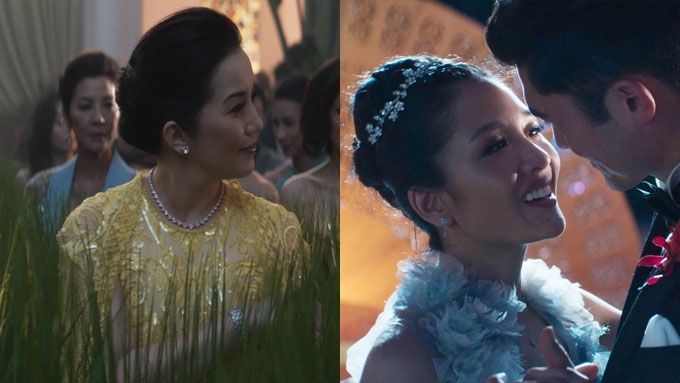 The director hinted that there are those who want to make a Pinoy version of Crazy Rich Asians. He wrote in his Instagram account: "No matter how successful this #CrazyRichAsian movie is, it’s still just a piece of old school 90’s style TV movie. Caricature acting, white man’s view on asians, cliche insights wrapped in flashy modern parties, tita sensibilities, bad direction. "This is no Pretty Woman! Far from it. But who can argue with success? That’s why everyone here I think wants to make a version of this here. #kumitakayamagandanayan"
In the comments section, John Arcilla also gave his impressions about the movie, even though he has not seen it yet. The lead actor of Heneral Luna wrote: "I have not watch it yet Direk. Americans daw are laughing with the idea. When i saw the trailer its just the typical plot naman of a Cinderella Story di ba? kaya parang feeling ko nga Cliche’... yun lang... my two cents heheheehe!" John then dropped hints that he will be working with Direk Erik for a project in the future. He wrote: "Excited na ako sa Baguio project natin Direk @erikmatti wooootwoooot! May twins na ba tayo? I secret message nyo naman sakin kung sino ang magiging twins na anak ko? :) hehehe exciting!" 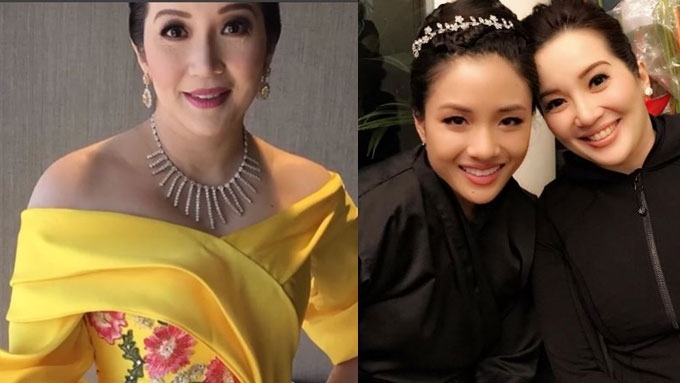 In Crazy Rich Asians, Kris Aquino was cast as Princess Intan. Her character had a chance to talk to lead character Rachel (played by Constance Wu) in this movie depicting the lives of the ultra-rich. 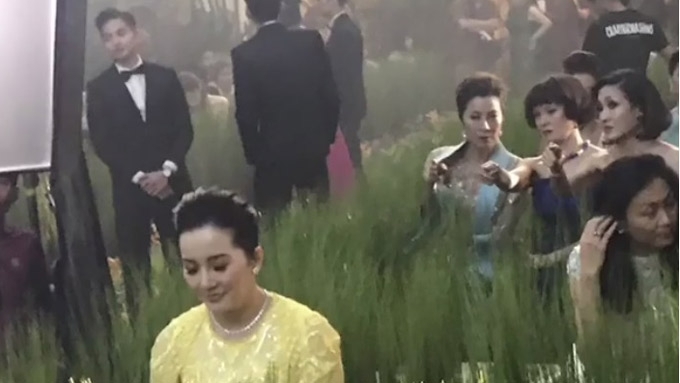 The relationship of Rachel and Nick (Henry Golding) was tested as they dealt with the disapproval of Nick's mother (Michelle Yeoh).